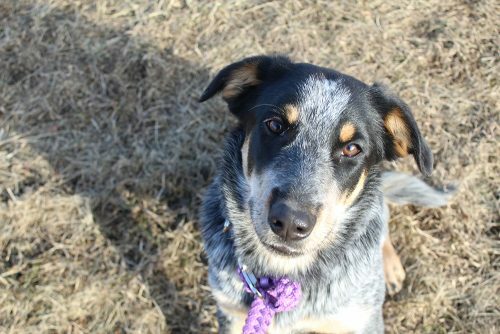 Call 416-338-7297 If you’re interested in adopting Polka. Polka came to us from an unfortunate situation. When she arrived at our shelter, she displayed anxiety towards people and was nervous in new surroundings. We found that she was under socialized, and needed to learn how to walk on a leash. Her new family will need to work with her behavioral needs, but we’re think she’ll be an excellent addition to any family.